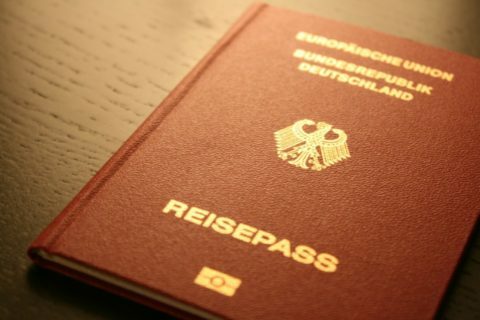 For the fifth year in a row, the German passport has maintained its position as the world’s most powerful. The Philippines, meanwhile, has climbed three places to become the sixth best in Southeast Asia and 72nd out of 219 countries or territories worldwide, according to the 2018 Henley Passport Index released today (Wednesday, January 10). German passport holders currently enjoy visa-free access to 177 countries, up from 176 last year. This puts the European nation just one country ahead of its closest rival, Singapore. Eight countries tied for the third spot on the index with 175 countries. They were Denmark, Finland, France, Italy, Japan, Norway, Sweden and the UK, all with access to 175 countries. With visa-free access to 63 countries, the Philippines shares its 72nd place with Indonesia, Cuba, Azerbaijan and Cape Verde. Close neighbour Malaysia ranks in 12th place — the second highest ranking country in the region after Singapore — offering visa-free travel to 166 countries. Christian Kalin, chairman of Henley & Partners, which compiled the index, said: “Countries in Southeast Asia have remained stable on the 2018 Henley Passport Index. Other improving countries in the region include Cambodia, Vietnam, Malaysia, Timor-Leste and Myanmar. Brunei and Laos maintained their position compared to 2017. The most improved countries on the index were Georgia, which gained access to 30 additional countries, and the Ukraine, which added 32 additional countries. In both cases the improvement follows the completion of a visa-liberalisation process with the EU. At the bottom of the pile are Pakistan, Syria, Iraq and Afghanistan, with visa-free access to 30 or fewer countries. The index is based on data from the International Air Transport Association.